Here's a new uk online slots where you can relive an arcade classic in this toy-grabber themed slot game. They were always frustrating back in the day as, just while you thought you’d secured that elusive fluffy toy, it would slip out of your grasp and onto the pile of trapped toy animals, longing to be rescued. However, with this vibrant and lively slot game, at least the Pink Elephant toy is likely to come out a few times - and the more often it does, the more often you’ll win. 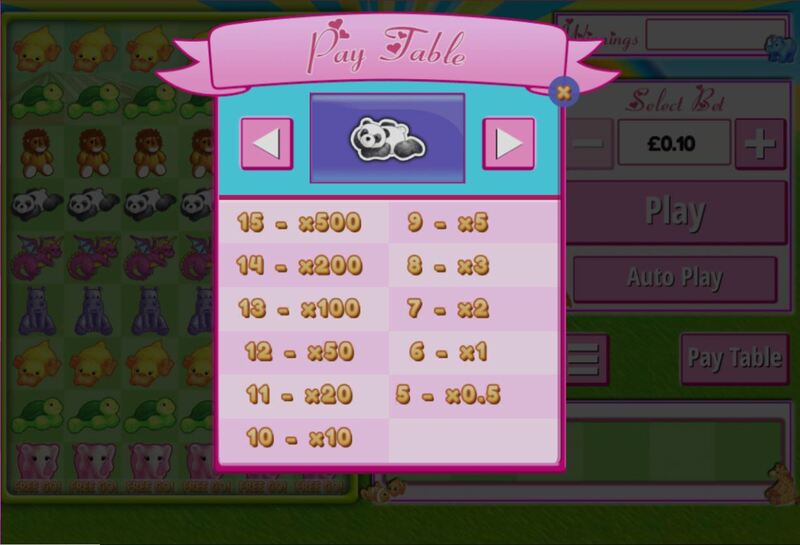 Developed by Virtue Fusion and Playtech, together they have created a colourful slot game that has a cute and cuddly charm. Looking like a children’s TV show from the 1970s, the makers have done well to make the game as fluffy as possible, without losing any of the excitement or edge that comes with a slot game. Well-thought-out bonus rounds in keeping with the theme are classic traits of the people behind this game, as they look to provide some contemporary fun with a hint of nostalgia. easyslots.com offers you all of the best games created by Virtue Fusion and Playtech. You can learn more general Easy Slots promotions here. This game has 5 reels with 25 pay lines and a minimum bet of just one penny, so there’s a chance for even the most frugal to work their way up the ranks in this colourful game. In terms of wild symbols, the cute Pink Elephant is the one to look out for and luckily, as you’d ex-pect, it’s hard to miss. When activated, the wild in this game will substitute all other symbols except for the scatter symbol which in Fluffy Favourites Bonus is the Grabber Claw. When 3 or more of these appear on the reels you enter the Toy box Pick feature where your chances of grabbing a winner are more favourable than before. You’ll get 1 pick per scatter symbol that appeared during game play and that can be worth up to x100 the total wager - suddenly that penny bet is looking worthwhile. When 3 Pink Elephants or more appear, the bonus round will be activated and here either 15, 20 or 25 free spins will be awarded depending on whether you round up 3, 4 or 5 Pink Elephants - simple! Also, line wins are tripled during this exciting bonus round and the bonus, itself, can be re-activated up to 15 times. With simple graphics and a simple gameplay, this is a very accessible slot game, even for those players making their debut with this game. 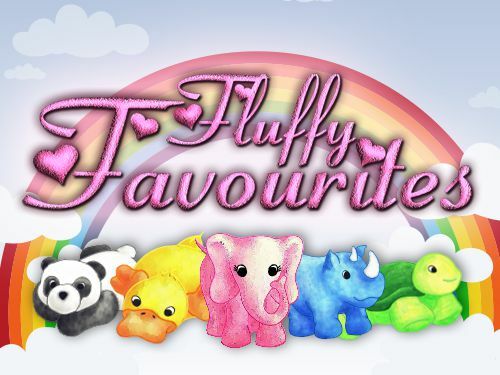 A tiny minimum bet and a maximum of just £15 ensures that this is a very stress-free, leisurely experience when it comes to slot games and the game is fluffy by name and nature. Once you’ve looked into the eyes of some of these furry characters, it’s going to be hard to not want to win them all. 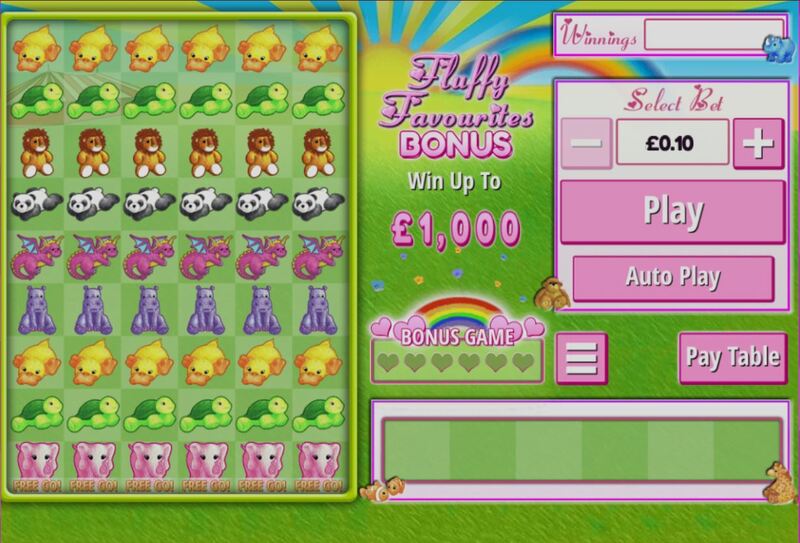 If you enjoyed playing Fluffy Favourites Bonus you might also like to try other Easy Slots game? Play now!